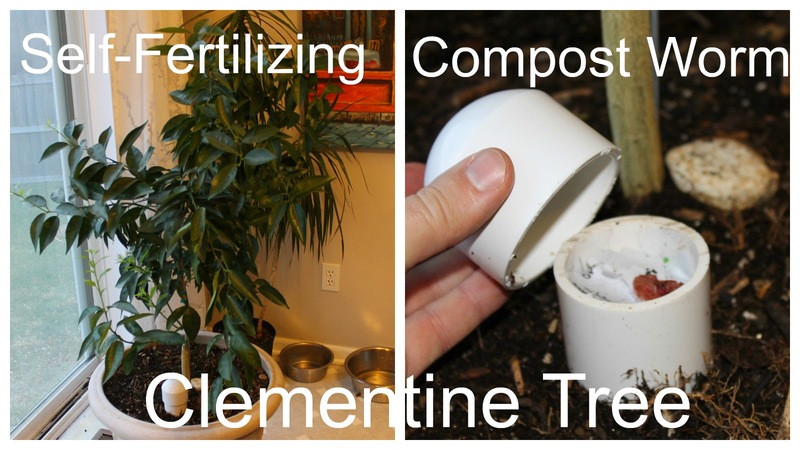 Check out this video to learn how we are enlisting the aid of some of nature's most awesome soil makers to assist us with our Clementine Tree. My wife and I always like to buy each other some type of fruiting tree of plant for our anniversary and this year it was this awesome clementine tree. We have had it for about six months at this point and it is growing very well. Since we live here in Michigan we bring it inside for the winter and then put it out on the pool deck in the summer. It has been growing very well so far and almost produced some fruit the first year we had it! The tree was loaded with flowers a couple of months ago but I think it is not established enough in the pot and dropped all of the tiny clementine starts. It is loaded with new growth and we are looking forward to this next season to get some fruit. We ordered this tree from Amazon early this summer and we were surprised at how big it was when we got it. This is not the first live product we have purchased on Amazon and been very happy with the results (also ordered worms). This is a 4 year old clementine tree that is of the dwarf variety suited for indoor/outdoor potted growing. I will keep you updated on the growth this year and post when we get some fruit! I am not a very big fan of using fertilizers and to be honest we have never even bought any for our gardens, trees, or fruit buses/vines. Not that we have a huge garden but I have just found the aquaponics waste from the swirl filter to be all the fertilizer we have needed. We also use a compost pile to amend the soil and use household products like Epson salt and crushes eggs shells to add nutrients. We also have a small worm bin in the basement that has been cranking along for almost a year. We started off pretty rough with the worms and made some big mistakes but they bounced back and now the bin is loaded with the little soil makers. The worm castings are an awesome source of nutrients and a great addition to regular compost to make the best soil!